Welcome to the Richland County Fair & Rodeo! "Where The Road Ends & The Fun Begins"
What began as a small community street fair has evolved into what is now the Richland County Fair and Rodeo entertaining 30,000 plus people year after year. 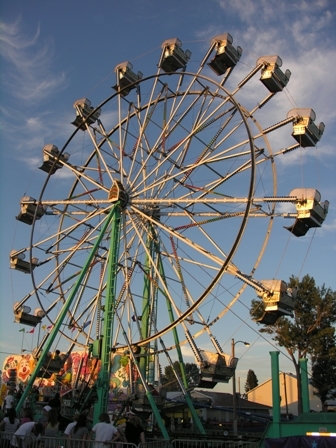 The fair became official in September of 1920 and has continued to be successful in the MonDak Area ever since. As the years have gone by, new buildings constructed, new ideas formed, and board members and managers have come and gone the tradition still continues every year at the beginning of August. The Richland County Fair and Rodeo thrives to make the fair "fun for all ages". There is so much to see and do; please join us August 3-6 and see all that is to be offered. Browse through historic pictures of the fair grounds.